2. Combine cake mix, butter, 3tbs. heavy cream, 1/2 cup sour cream in mixing bowl and cream together for about 30 seconds. 3. Add 3 eggs, 2/3 cup milk, and 2 tbs. vanilla and continue mixing until batter is light and creamy. I'm not going to lie, the batter is amazingly delish. I was actually really hard for me to bake it because I wanted to eat it all! 4. Fill your cupcake liners 2/3 the way full. I like to double my cupcake liners because I think it's cuter. 5. Bake for 15 to 20 minutes or until slightly golden on top. 6. Remove from oven, let cool completely before frosting. Disclaimer: if you love bubble gum like I love bubble gum you are going to have a hard time not eating this frosting by the handful. 1. Beat butter and cream cheese together until creamy. 2. Add a cup of powdered sugar at a time. 3. After about 2-3 cups, add the heavy cream and vanilla. 4. Continue to add powdered sugar. 5. Beat for five minutes until light and fluffy. 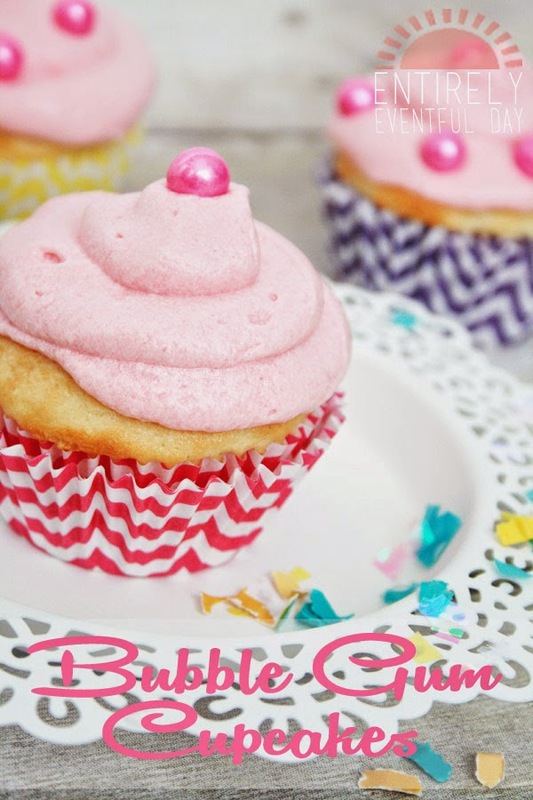 Once your cupcakes are completely cool, it's time to frost. Now, I like to fill my cupcakes and frost them too. 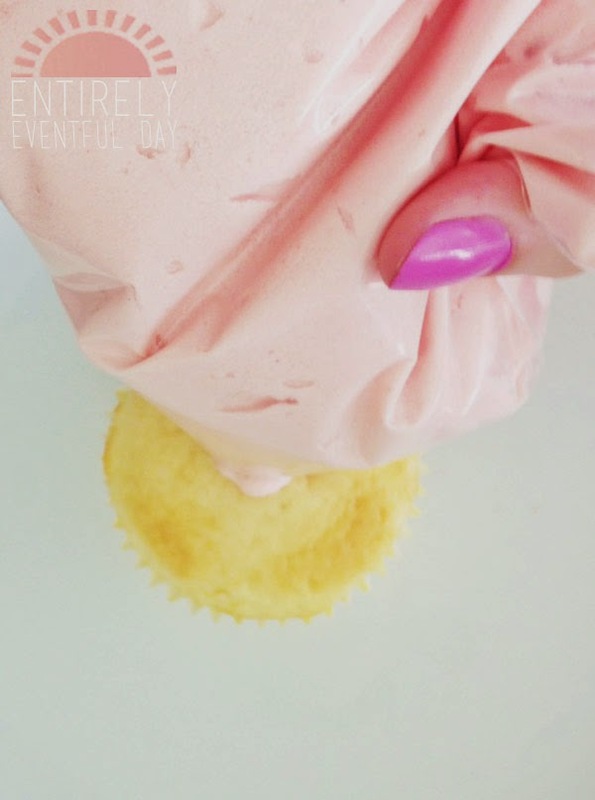 Here's how: fill a big zipper bag with your frosting, cut a corner off and create your own little pastry bag. Experiment with how much to cut off. Remember you can always cut off more. 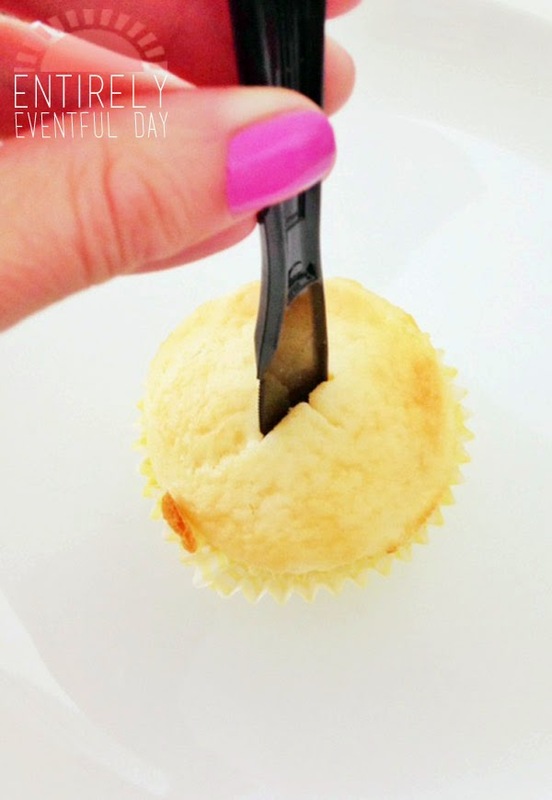 Once you've got your make-shift pastry bag ready, use a knife to cut an X in the top of your cupcake (pictured above). Then just insert your pastry bag into the X and squeeze lightly. 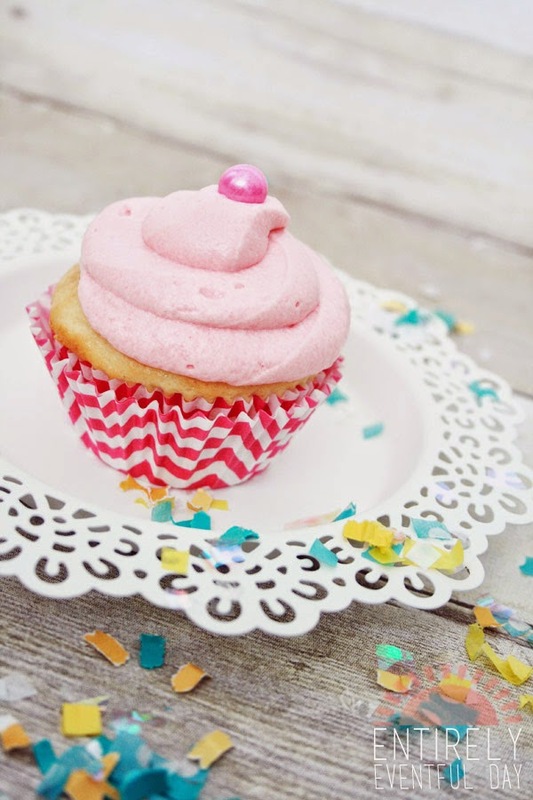 Frosting will fill the cupcake and then you can frost the top in a circular motion starting from the outside of the cupcake. 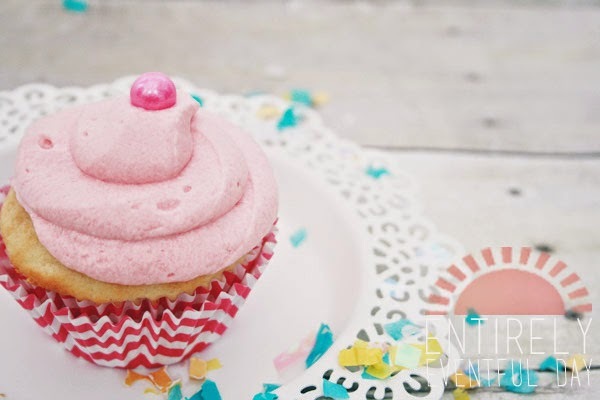 Garnish with these adorable pearly pink Sixlet Candies or a real gum ball.